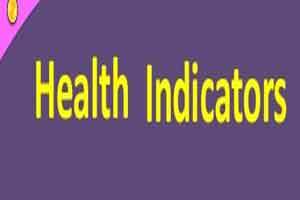 Lucknow: The Uttar Pradesh government has started a system of ranking the districts on the basis of health indicators for checking the improvements made in the last two years. The indicators focus on family planning, maternal and child health, data quality of Health Management Information System (HMIS) and budget utilisation of National Rural Health Mission (NHM) funding. “The district ranking aims at fostering the process of setting agendas for stimulating awareness to drive health outcomes, motivate district CMOs and DMs to prioritise over means to improved health outcomes and to help establish broad responsibilities and accountability of population health outcomes,” a UP government official said. In July, Bareilly, Baghpat, Kannauj, Moradabad, Lalitpur and Shamli have been ranked as the best performing districts while Kanpur, Ghazipur, Ballia, Meerut, Faizabad and Bijnor were ranked as poor performers. The ranking of districts is broadly based on two indicators-input and output. Input indicators reflect the resources provided by the government like budget utilisation and construction while output indicators reflect the performance on the basis of service delivery like bed occupancy rate, percentages of institutional deliveries, beneficiaries of health schemes, fully immunised children, among others. A range of lowest to highest is created for every indicator. These ranges are called quintiles. A district can score up to 34 marks which are given for each of the 7 input and 27 output indicators which are counted when the district ranking is done on the basis of performance and range. The districts in the lowest quintile get the score of ‘1’ and those in the highest quintile get a score of ‘5’ for each variable. Three indicators — missing deliveries, drop out of children in BCG and measles vaccination and maternal deaths — are seen as negative indicators even if the district scores high on other indicators. Ashok Chandra, District Magistrate, Kannauj that has been observed as one of the best performing district said, “direct intervention to achieve the target has helped us a lot. I myself visit villages and get things done at ground level. I have deputed all SDMs to remain active in their areas and visit the villages for monitoring health services”. SK Jain, Chief Medical Officer of JP Nagar district which is one of the poor performing districts said, “we have acute shortage of specialist doctors in our hospitals. Even district hospital, we do not have adequate specialists. Still we are trying our level best to manage the things. Hopefully we will cover up in next few months”.